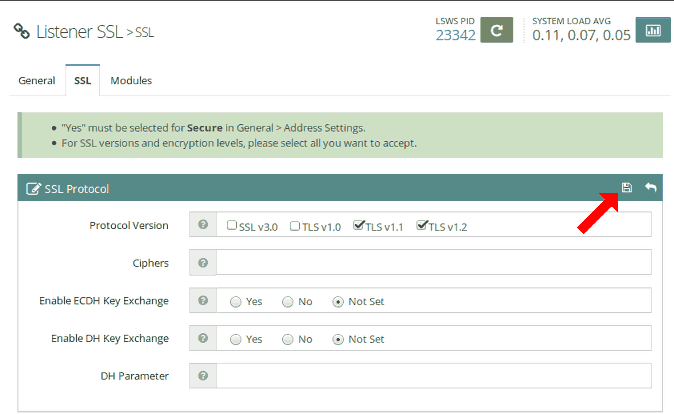 The following instructions will guide you through the SSL installation process on LiteSpeed. If you have more than one server or device, you will need to install the certificate on each server or device you need to secure. If you still have not generated your certificate and completed the validation process, reference our CSR Generation Instructions and disregard the steps below. In your LiteSpeed WebAdmin console, click Listeners and then Add. Listener Name – Enter the internal friendly name for your Listener. IP Address – Select Any from the dropdown unless you want to bind the Listener to a particular CPU. In that case, enter the unique IP-port combination. Port – Most HTTPS connections are managed through port 443 by default. However, if you have other Listeners operating on that port, this may cause an issue and require you to use another port such as 8443. Notes – Add any internal notes that will help you distinguish the Listener in the future. 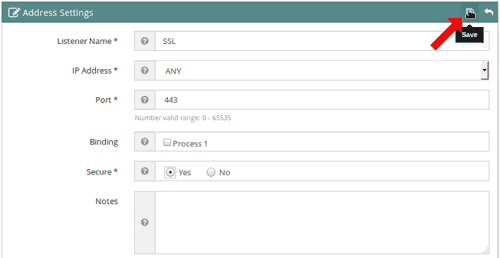 From your WebAdmin console, click Listeners and select your Listener Name (for our example, we chose to name the Listener “SSL”). Once you’re on the SSL tab under your newly created Listener, click the Edit button on the SSL Private Key & Certificate section. Private Key File – This is the path to your private key that was previously saved on your directory during the generation process via OpenSSL. CA Certificate Path – This is the path to the intermediate certificate “file” that the CA sent you. CA Certificate File – This is the path to the “directory” holding the intermediate certificates that the CA sent you. 6. Return to the SSL tab Once you’re back on the SSL tab under your Listener, click the Edit button on the SSL Protocol section. 7. Select “Protocol Version”For Protocol Version, select TLSv1.1 and TLSv1.2 and then click Save. Now, from your WebAdmin console, click Listeners and select your Listener Name (e.g. SSL). Under your selected Listener, select the General tab and click the Add button on the Virtual Host Mappings section. In the Virtual Host Mappings section of your General tab, select the Virtual Host you want to connect the Listener to from the drop-down menu. Once you have the appropriate Virtual Host selected, enter all of the Domains that connect to your vhost(s) – this tells OpenLiteSpeed where to send traffic this listener picks up – and click Save. 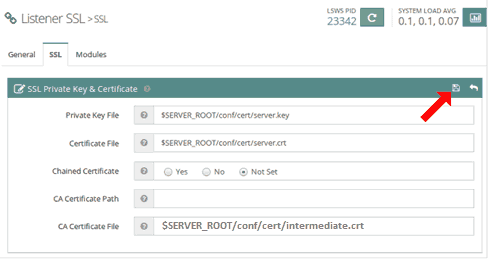 Note 1: If you have multiple domains in the certificate that connect to the vhost, use a comma “,” to separate the additional domains. Note 2: If you have one vhost and configured the server to disregard other vhosts, you can enter an asterisk “*” as the domain. Nigate to your Dashboard by selecting “Dashboard” from the left-hand side menu. Once on your Dashboard, click the green Graceful Restart button.